As if they had coordinated it--and for all Rainhart knew, they had--the barons had been arriving in roughly the order of their power and allegiance to the throne. The Teuta barons had all arrived a day earlier and feasted in lavish style, and most of the Cimbra had arrived that morning. Now they had received word that the last two Cimbra barons were making their way up through the city. Rainhart had grown up in the rough, sincere hospitality characteristic of the marcher lords whose main business was keeping Wendian raiders away from Deusetatsi farms. It wasn&apos;t until this moment that he realised how poorly that childhood had prepared him for the reality of being a King&apos;s son. First he had stood around the throne room with the rest of the family while they waited for the new curtains to be rehung to the Queen&apos;s satisfaction, then the ceremonial silverware had been inspected piece by piece, and then each person had been given the same treatment. When the Queen was satisfied that everyone presented a credible appearance, she arranged them like so many place settings around the twinned thrones. Then King Godfrey arrived and repeated the same exercise. Maldwyn was moved to the Queen&apos;s left and Tancred placed at the King&apos;s right. Philomena was--to Rainhart&apos;s chagrin--promoted from obscurity off to the side to prominence beside Tancred. The Queen objected, and the disagreement lasted several minutes while Rainhart, stationed next to Maldwyn, stared stonily ahead. Out of the corner of his eye, he could see Philomena clenching and unclenching her fist. Godfrey settled down in his throne and said to the Steward, "Send in Baron Valdon of Traumwald." The Steward nodded, and opened the doors at the far end of the hall. Baron Valdon was a man some years younger than the King, with a wide, open face and brown hair that was going prematurely grey at the temples. He came through the room and sank to one knee, one hand on his heart, the other clasped around the ball of a darkwood cane. "My King, it is ever a pleasure to see you and your lovely family." "Baron Valdon," said Godfrey. "Please, stand. We&apos;ll get onto the kneeling and swearing part later. How was your journey?" "Long," said Valdon, grimacing. "And one of the bridges over the Danuva was out, otherwise I would have been here yesterday." "You were not the last to arrive," said Godfrey. Valdon&apos;s expression became serious. "I know, I do apologise. I believe it was some matter of livestock that delayed Antrim and Brun." "I hope you have control over your barons, Valdon," said Godfrey. "The Cimbra answer to me absolutely," said Valdon. "I am glad to hear it." Godfrey stood and came down from the dais to take Valdon&apos;s hand. "I welcome this opportunity to renew the bonds between the Teuta and Cimbra, and hope I can have you all back on the way to your baronies by week&apos;s end." "Well, there are some difficult matters to discuss," said Valdon, his eyes sliding towards Philomena. "Of course," said Godfrey, going back to his throne. He nodded to the Steward, who opened the great doors and ushered in the remaining eighteen barons of Deusetats. Rainhart scanned the room. Through the riot of bright velvets, brocades and furs, he recognised Milos, and few others. Godfrey stood. "My friends," he said, "Welcome." But as Rainhart took in the expressions of the barons, he saw little friendship. Some difficult matters, Valdon had said. That afternoon, Rainhart was pulling on his gloves on his way out to the stables when he ran into Philomena. 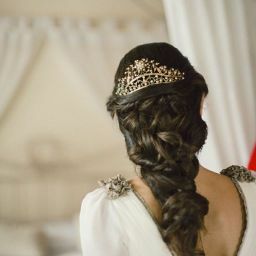 He took in her wool dress and leather riding gloves with a quick look. "You&apos;re joining the hunt?" 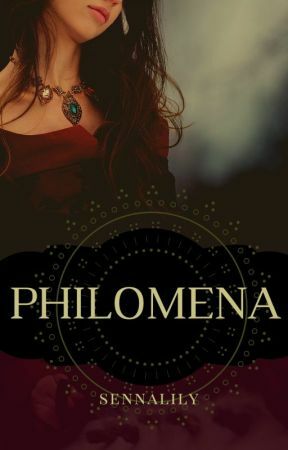 he said, then added, "Lady Philomena."